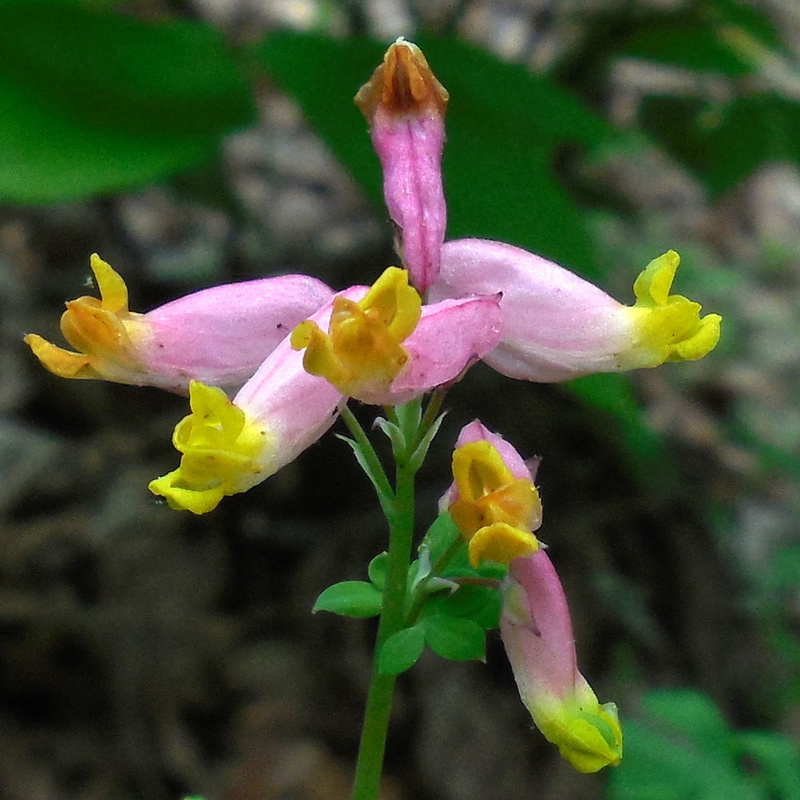 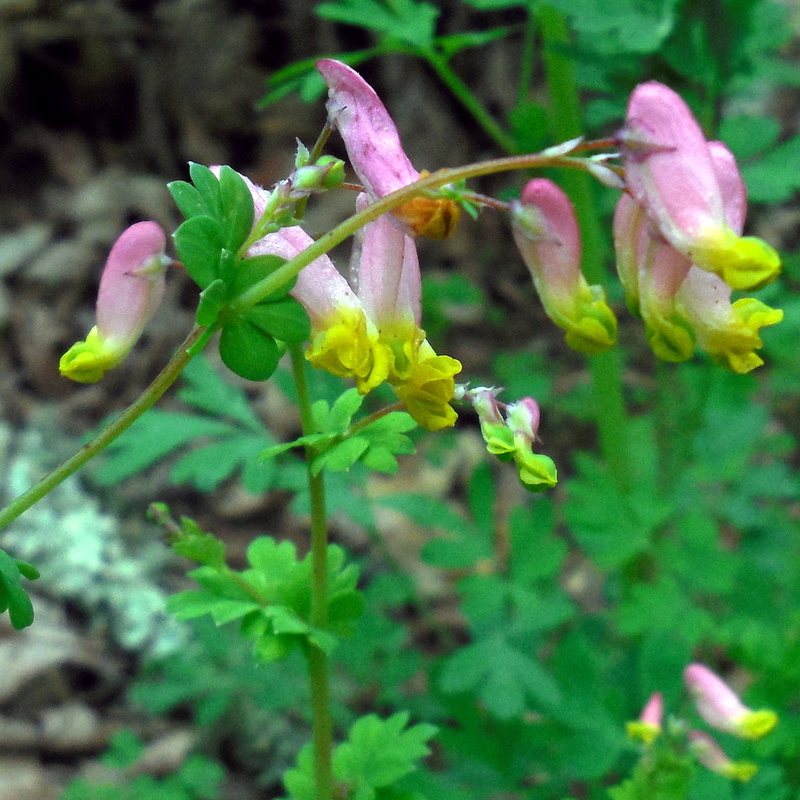 Pale Corydalis or Rock Harlequin [Corydalis sempervirens] photos were taken on the North Carolina Bartram Trail, near Whiterock Mountain, on 27 May 2017 and Carl Sandburg Home on 28 May 2017. 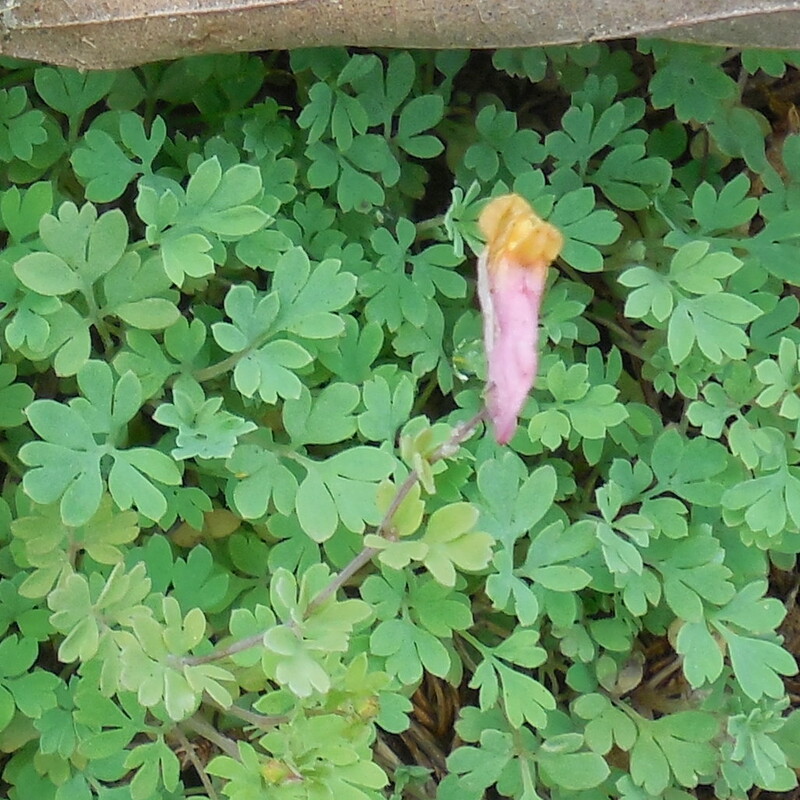 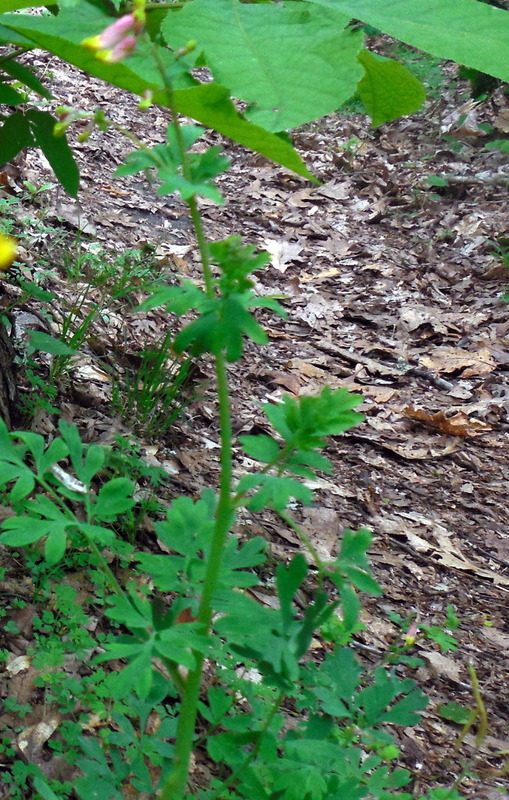 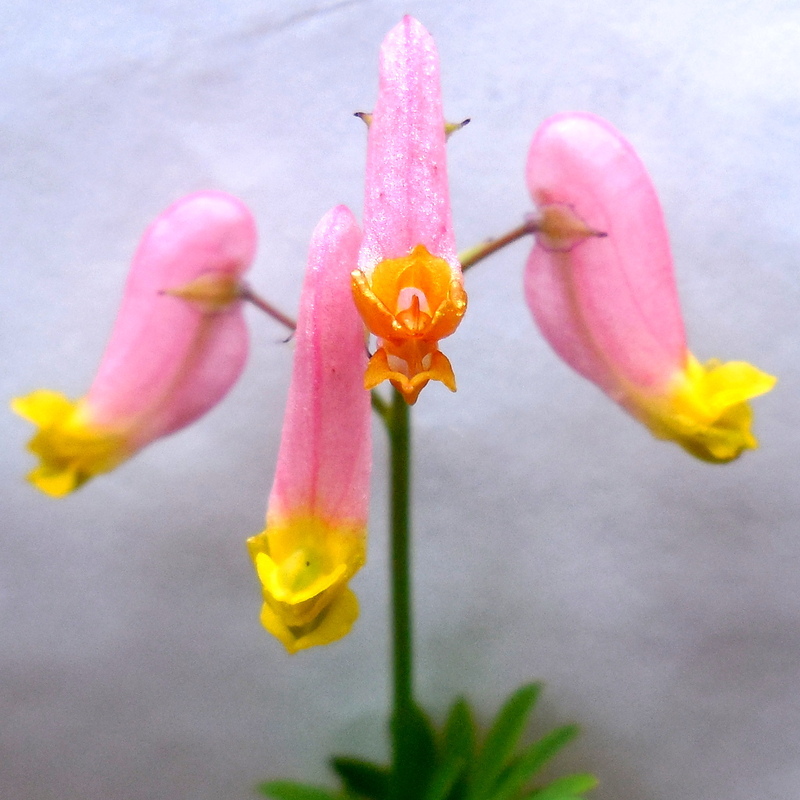 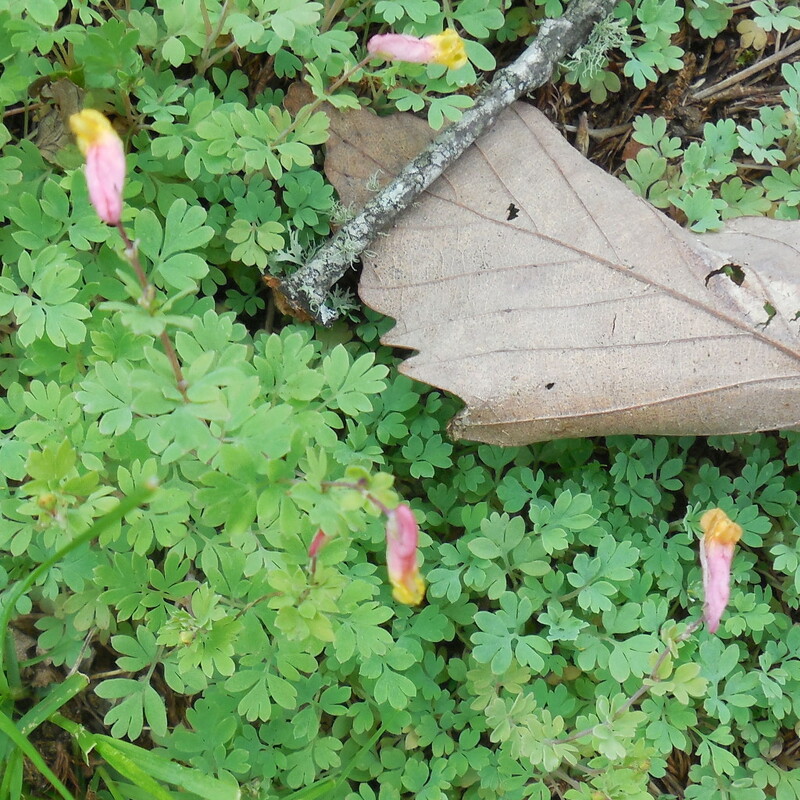 It’s a member of the Fumitory (Fumariaceae) family. 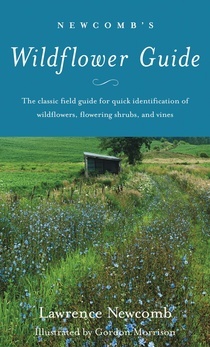 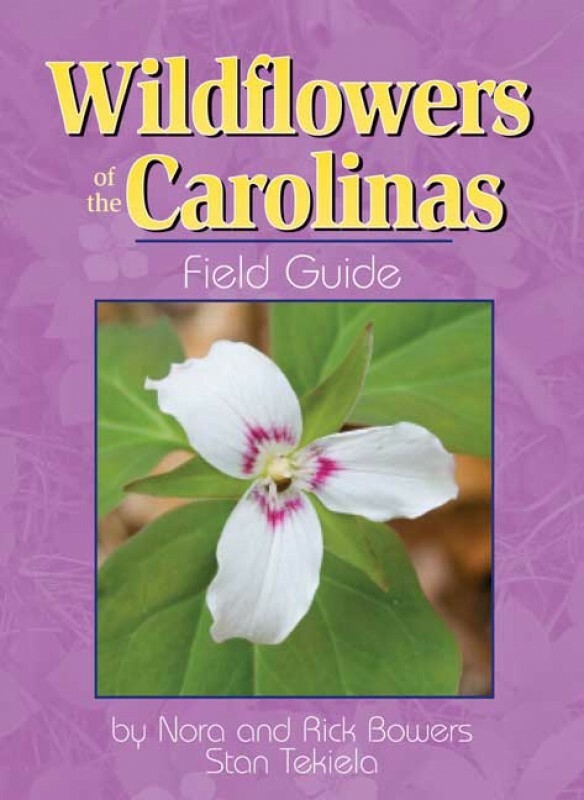 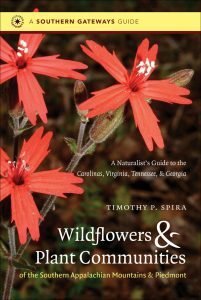 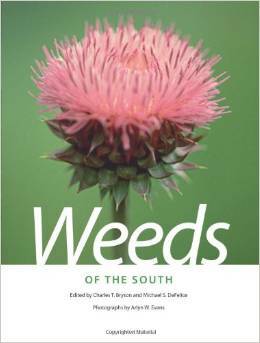 Allan Armitage’s Herbaceous Perennial Plants, (1989) page 156, states that it’s “flowers are pale pink to purple with yellow tips and the fern-like foliage is gray green.” It grows in rocky places and is found blooming Spring to Fall.